Chivas Regal has revealed the 15 national winners who will compete at the Chivas Masters Global Final taking place in Tokyo from July 1-5. Now in its fourth year, the final will focus on the traditions of Tokyo’s bartending scene and throughout the week, the contestants will take part in a number of individual and team challenges. The 15 finalists qualified from their national competitions running across four continents and will be hosted in Tokyo by Masahiro Urushido, the first ever Chivas Masters global champion. The finalists will also be mentored by a distinguished panel of internationally-acclaimed judges, who will share their expertise through a series of inspirational masterclasses. 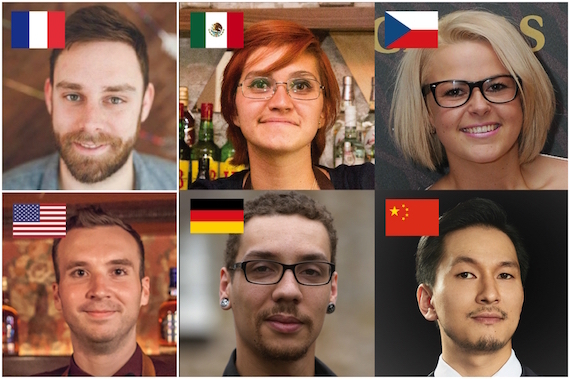 Max Warner, global brand ambassador for Chivas Regal, said: “Our 15 national winners have already hugely impressed us with both their skill and character, but there’s still much more to do if they want to be crowned our 2017 Chivas Masters global champion. The 2017 Chivas Masters global champion will win an all-access, all-expenses-paid trip to Tales of The Cocktail 2017 in New Orleans.